It seems that it is pretty frigid just about everywhere across the United States today, and I know that it is below zero here with the wind chill this morning with predictions that it will get even colder here tonight and tomorrow. I hate the cold weather a great deal as it is so I do my best to stay inside, stay warm and make the best of it. 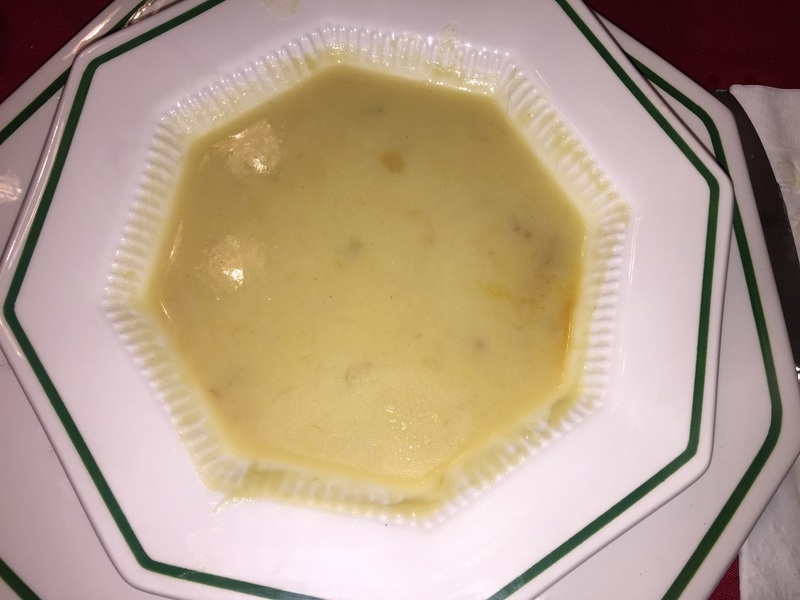 Days like today are ideal for breaking out the soup recipes and I plan to make a few different soups over the next week or so, but here is a recipe for a family favorite that I actually made around the holidays for a potato leek soup. We love potato leek soup in my house and it goes pretty quickly around here so I try to make a lot of it so we can have it available for lunches as well. While this is a soup you can serve hot or cold, I always prefer it warm. I tried this simple recipe from Alton Brown this time out and it is pretty similar to ones I have tried in the past, though it has a slight change with a larger ratio of leeks to potatoes. After thoroughly cleaning the leeks, chop the leeks into small pieces. In a 6-quart saucepan or Dutch oven set over medium heat, melt the butter. Add the leeks and a heavy pinch of the kosher salt and sweat the leeks for about 5 minutes. Decrease the heat to medium-low and cook until the leeks are tender, about 25 minutes, stirring the leeks occasionally. Add the potatoes and the vegetable or chicken broth, increase the heat to medium-high and bring the mixture to a boil. Reduce the heat to low, cover and gently simmer until the potatoes are soft, about 45 minutes. Turn off the heat and puree the mixture with an immersion blender until the soup is smooth. Stir in the heavy cream, buttermilk and white pepper. Taste the soup and adjust the seasoning as needed. Sprinkle with chives and serve immediately or chill and serve cold. I love the creamy, silky texture of this soup and all of the great flavor you get from the potatoes and leeks, and this version has the leeks really shining through for some excellent flavor. You can make this vegetarian by using vegetable broth instead of chicken if you like and the combination of buttermilk and heavy cream is nice for this dish, though you could just use heavy cream if you prefer it that way. This soup makes an excellent first course for any meal or it can be a great meal on its own, which is how we often have it. Serve it with some homemade bread, rolls, or biscuits or even with sandwiches and you have a great dinner that is easy to make.